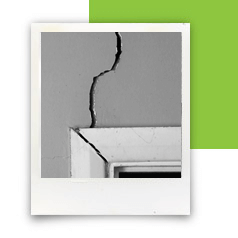 In order to assess the risk your property poses, most insurers will need to know details about any subsidence issues it has encountered in the past. From a home insurance perspective, any cases of landslip and heave will also need to be declared and (for the purposes of this article) will be included under the term 'subsidence'. Has a claim been made for subsidence, landslip or heave? Are there any signs of damage resulting from subsidence, landslip or heave? Has your property been monitored as a result of subsidence, landslip or heave? Has your property suffered from structural movement or settlement as a result of subsidence, landslip or heave? Is there a history of mining beneath or around your property? In what year did the subsidence event occur? Was the main building affected? Where any other properties affected? What was the cause of the movement? Was the cause of the movement rectified? Is a survey report available? If a survey is available, does it confirm that the movement is historic and insignificant? If available, is the survey report written by a qualified structural engineer? In almost all cases, if you are producing a report by a structural engineer, they must be part of a relevant professional awarding and regulatory body. Such bodies include the Institution of Structural Engineers and the Institute of Civil Engineers. The structural engineer will also be expected to have the accreditations MIStructE, FIStructE, MICE or FICE after their name. How far from the property is it? Exactly where on the property is the tree situated? Has the tree previously caused any damage to the property? Is the tree subject to a Preservation Order? Has the tree been pollarded or similarly maintained? Because trees are frequently found to be the direct cause (or a contributory factor) of many subsidence cases, insurance companies need to be made aware of them. Trees cause subsidence when their roots enter shrinkable clay soils and extract excessive amounts of moisture from them. Oaks, poplars and willows commonly cause the most damage. The more moisture they take, the more likely the soil is to shrink as it dries out. As soils shrink, any building foundations resting on top have the potential to move or subside. Roots can also cause damage to drains as they seek out the moisture that collects on the outside of pipes. Though it is possible that they could dislodge a pipe-joint during growth, roots are more likely to enter a drain that has already undergone damage. Damaged or leaking drains can also be causes of subsidence. Need insurance with mining history?